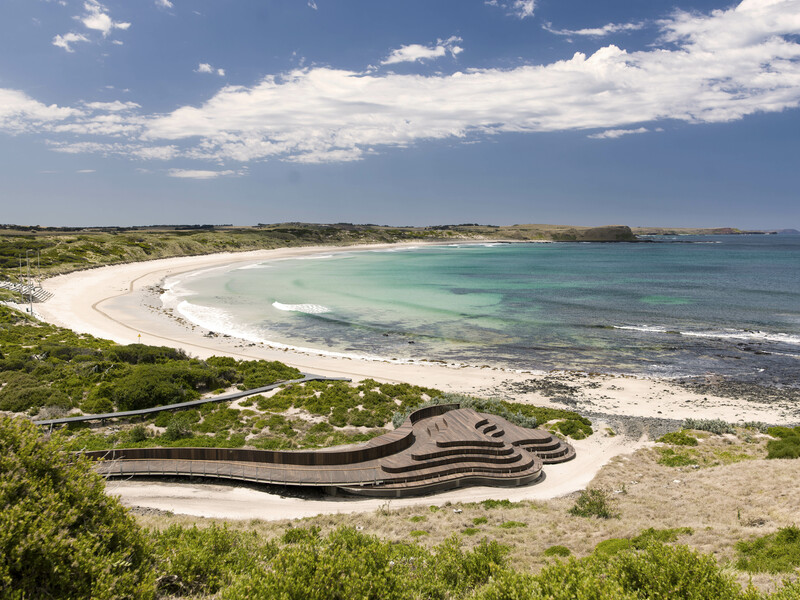 The new Penguins Plus viewing platform is a joint venture between Phillip Island Nature Parks and RACV. Wood Marsh’s architectural response was inspired by the natural elements of the surrounding landscape. 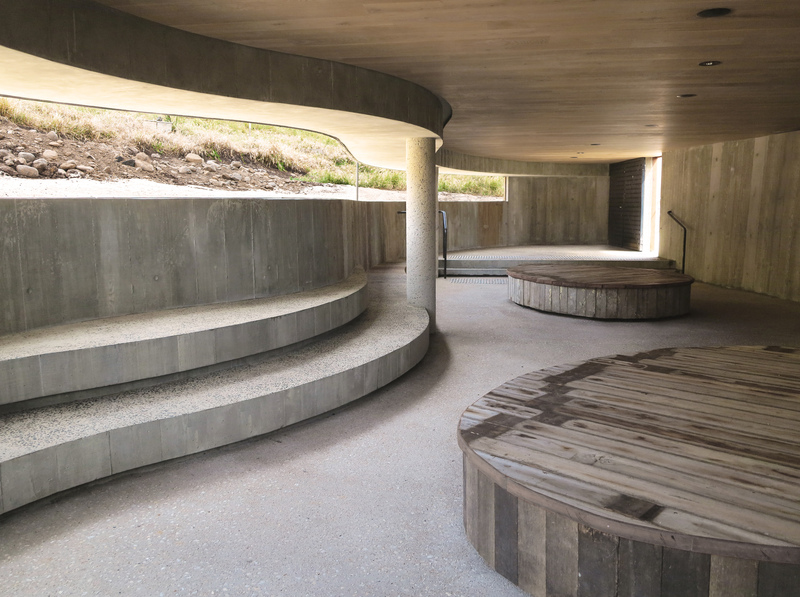 The new platform references the coves of the coastline, on a micro scale, to offer visitors personal viewing of the penguins as they make their way along their natural pathway. The bunker provides a protected, theatrical, eye level view of the Penguin crossing. The building is sited with the natural contours to nestle within the surroundings. Sculpturally the form stretches along the existing embankment, following the creek as a sinuous, organic element that can be viewed in the round. 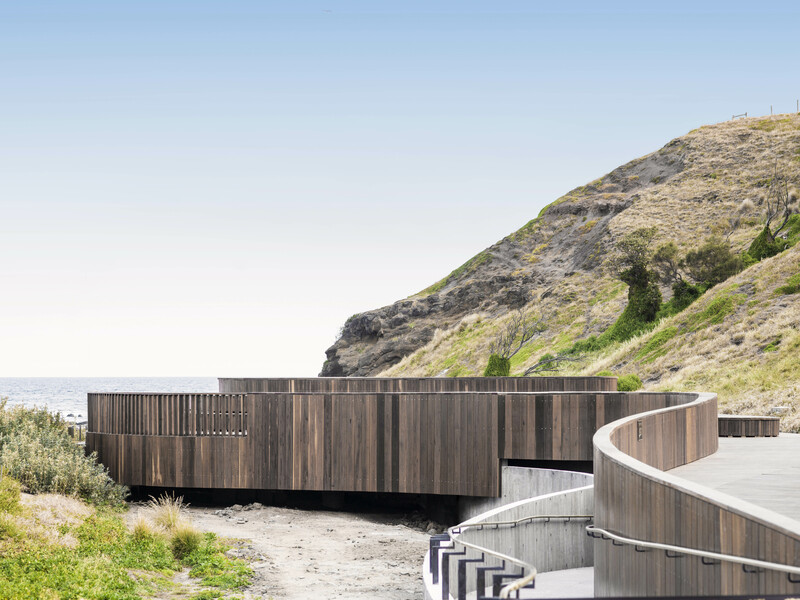 Designed to weather to a natural grey and recede into its surroundings, the design sits like a piece of weathered, eroded driftwood in the landscape. United Nations World Environment Day Awards – The new Penguins Plus experience won the inaugural ‘Infrastructure Innovation’ award category that recognises excellence in sustainable infrastructure. 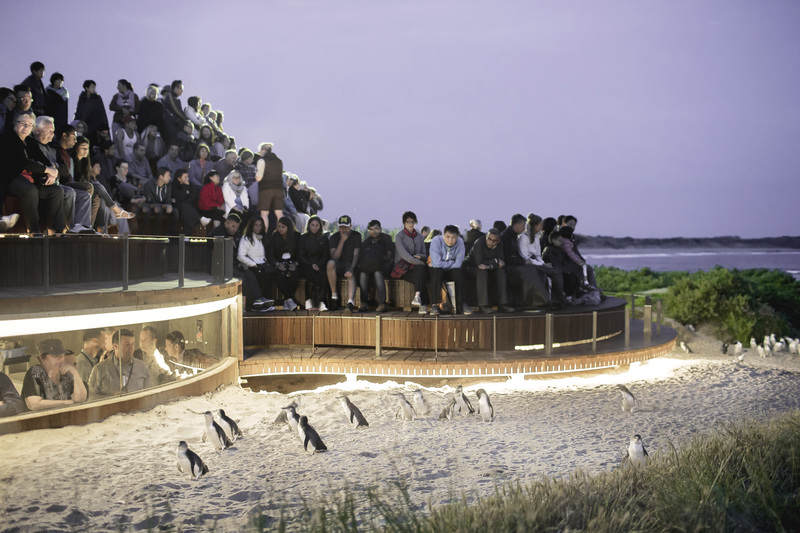 Penguin Plus Viewing Area has also won the Australian Institute of Landscape Architects (VIC) Award of Excellence (highest level) in the Tourism category. Entered by landscape architects – Tract Consultants.